* Built-in hardware decoding for Dolby® Digital & DTS® the only way to get true 5.1 digital sound from PlayStation®2, Xbox and most DVD players. * Patented dual chamber subwoofer plays louder and goes lower for unbelievable bass. * Support for 96 kHz/24 bit digital audio streams for studio quality sound. * Dolby® Pro Logic II creates realistic 5.1 surround sound from stereo music, movies & games. * 6 channel direct input can be used as 3 separate stereo inputs. * Digital equalisation actively adjusts frequency response in real time for the cleanest, most accurate sound reproduction. * Polished aluminum phase plug satellites combine two drivers into one: the clarity of a tweeter with the richness and fullness of a separate mid-range. * Wireless remote control. Great for use with home theatres and video game consoles. * Compact Digital SoundTouch Control Centre designed for desktop use or placement in your entertainment centre. Features include: digital LCD, volume level adjustment, aux input jack, mute, and effects settings. Subwoofer : 1 x subwoofer driver - 6.5"
Now that is a complete bargain for a digital surround sound system. But I'm really looking for a good 2.1 or wireless system cause my rabbit would chew through wires. Anybody able to help me out? Great deal voted HOT! !But I'm really looking for a good 2.1 or wireless … Great deal voted HOT! !But I'm really looking for a good 2.1 or wireless system cause my rabbit would chew through wires. Anybody able to help me out? On a serious note, my friends house is full of rabbits as they have, believe it or not, been breeding like rabbits and they (on advise from another friend) painted any loose wires they had with something. I'll have to ask them what it was but it did work. I'm thinking it was something like clear nail varnish, something that would taste pretty bitter/foul but not do any harm to the rabbit. Been looking for a deal on the Z series for a while now! Ordered one. Thanks for this!! I ordered mine for £119.98 yesterday but just looked today and the price has gone up to £129.98 inc VAT. 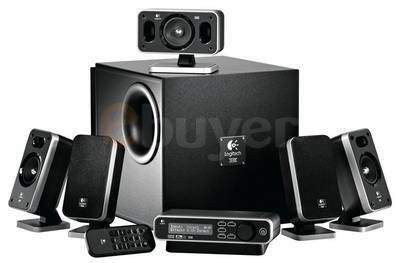 Is this system any good for a home cinema system rather than for the PC? I have a small cinema room in my house 3.5x3.5 metre and wondered if it would be suitable. 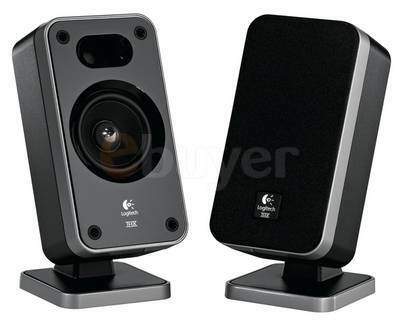 Is this system any good for a home cinema system rather than for the PC?I … Is this system any good for a home cinema system rather than for the PC?I have a small cinema room in my house 3.5x3.5 metre and wondered if it would be suitable. For that use they're quite good, for the money. 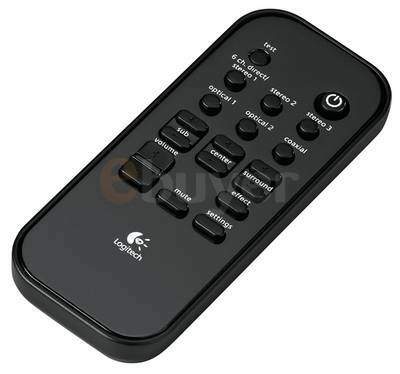 It has a built in decoder so it's suitable for use with DVD players etc. It has enough inputs for small set-ups, too. My entertainment room is slightly smaller than yours and i still managed to squeeze in a 5.1 package and a decently powered home cinema receiver to great effect. If you're budget limited this is a good choice, if you can afford better it would not be wasted in your small room. I noticed the package comes with some cables, I presume there are cables for the speakers etc.. Does it come with any optical or co-ax cables for conections to your dvd player etc.. ? I noticed the package comes with some cables, I presume there are cables … I noticed the package comes with some cables, I presume there are cables for the speakers etc..Does it come with any optical or co-ax cables for conections to your dvd player etc.. ? Would they be ok for that? now up to £140 .. erm, can anyone beat that please? edit: n/m, got one from a famous auction site for £120... hopefully this won't be a false economy when it breaks. Selling my used one in box...£40...but you gonna have to come and pick it up...from Kent.